The Colorado River Basin lies directly across all lines of travel between the rapidly increasing population of California and the densely populated eastern half of the United States. To a large extent in the past, it was considered just a vast space one had to cross on the way to California. Now, with the Pacific Coast more fully developed, people seeking undeveloped, uncrowded areas are beginning to discover the Colorado River Basin. The increased consciousness of color, brought about by colored photography, is causing people to become aware of the beauties of the region. Moving picture companies have discovered that the clear air, the high percentage of sunshine, and the great variety of colorful unspoiled scenery makes southern Utah and Arizona ideal for taking colored photographs of outdoor scenes. The same features are attracting more and more vacationists. It is time for immediate action which will assure preservation of the many and varied recreational resources of the Colorado River Basin. It is also time to develop facilities which will enable people to see and enjoy the region. There are natural limitations on the amount of land that can be placed under cultivation. There is a limit, which has been reached in most sections, on the number of domestic animals that can be grazed. But the possibilities for the development of the recreational use of the basin are almost unlimited. Much has been done. Vast areas, chiefly the higher plateaus and mountains, were designated as national forests in the early 1900's primarily for protection of the watersheds and for forage, timber, and wildlife production. Since their establishment, it has been found that many of them contain scientific and recreational features of national importance. A number of areas originally included in the forests have been set apart and dedicated as national monuments, while three other areas have been rededicated as national parks. These areas are now administered by the National Park Service. A number of other areas of major recreational value remain in the national forests. Some of these, in high remote sections of the forests, have been declared wilderness or primitive areas. Recreation is now recognized by the Forest Service as one of the important uses of the forests. In addition to the national parks and monuments originally included in the national forests, a number of other areas have been set aside as national parks and monuments to preserve their intrinsic qualities for the enjoyment, education, and inspiration of all people for all time. The establishment of these national forests, national parks, and national monuments has been the most important factor in insuring the preservation of the recreational resources of the basin. So far, only California, Nevada, and Arizona have established State parks in the basin. Utah, however, has recently indicated interest in this direction. This is fortunate, as there are many areas which, while not qualified for establishment as areas within the National Park System, nevertheless merit preservation as State parks or monuments. In addition to the areas of high recreational value described in preceding chapters, there are certain areas within the Colorado River Basin which contain outstanding existing and potential recreational resources. Some are believed to be of national importance. Others are primarily important to the State or region in which they are located. It is not recommended that all of the areas be set aside exclusively for recreation but that the preservation and development of the recreational resources be at least one of the major elements in any future plans affecting them. Local, State, and Federal agencies should cooperate in planning for the use and development of these areas so that the people living in the basin and in other parts of the United States may enjoy the fullest benefits from them. 1. Wind River Range. The western slope of the Wind River Range is a mountain area of such exceptional scenic quality and recreational value as to be of national importance. A number of peaks in the range reach elevations of more than 13,000 feet. Gannett Peak, the highest in Wyoming, reaches 13,785 feet, topping the Grand Teton by 20 feet. The Forest Service has set aside a large portion of this region of picturesque peaks, ridges, more than 900 lakes, and the largest glaciers in the United States as a wilderness area accessible only by trails. The main approach to the area is from the south over United States Highways 187 or 189. Highway 187 continues northwest to the Jackson Hole country. Low-standard roads lead from Highway 187 to the foot of the range, where several lakes are located at the mouths of ravines. With the improvement of access to the area it can become one of the major attractions of the Rocky Mountains for visitors from all parts of the United States. The recreational resources can become of major economic value to the nearby communities. 2. Fossil Quarries. Fossil Mountain west of Kemmerer, Wyo., and one of the quarries southwest of Granger, Wyo., should be preserved and developed as examples of the sites from which were obtained the famous fossil mammals, fish, birds, and plants exhibited in American and foreign museums. 3. Fort Bridger is the historic site of the famous trading post built by Jim Bridger in 1841 and served as a base of operations in the western fur trade, the Oregon Trail immigration, the Pony Express, and the Union Pacific Railroad. It was leased by the Federal Government as a military reservation in 1859 and abandoned in 1890. 1. The San Juan-San Miguel-Uncompahgre Mountain area in southwestern Colorado is one of the most extensive spectacular mountain regions of the United States. This area, at the headwaters of the Dolores, San Miguel, Animas, Los Pinos, Rio Grande, Lake Fork, and Uncompahgre Rivers, is one of jagged, steep mountain peaks; deep precipitous canyons; dashing streams; beautiful waterfalls; lakes set in austere backgrounds; extensive timberline areas and forests unmarred except by fire. For natural beauty of the grand and rugged mountain type, the area cannot be excelled. Numerous streams and lakes abound in trout. Deer, elk, mountain sheep, bear, beaver, grouse, and ptarmigan are all found in considerable numbers. The area is bisected by United States Highway 550, a scenic mountain road connecting Durango, Silverton, Ouray, and Montrose, Colo. At Red Mountain Pass the highway reaches an elevation of 11,018 feet above sea level. The Needle Mountains and the Grenadier Range, spectacular groups of mountain peaks, at least 18 of them more than 13,500 feet high, and three more than 14,000 feet high, are east of the highway between Durango and Silverton. The San Miguel Mountain section west of the highway varies in altitude from 9,500 feet to 14,250 feet at the top of Mount Wilson. The Uncompahgre section straddles the highway in the vicinity of Ouray. Uncompahgre Peak, 14,306 feet, Wetterhorn Peak, 14,020 feet, and Mount Sneffels, 14,143 feet above sea level, are the highest peaks, but several others in this section are more than 13,000 feet high. The area is a mecca for geologists. Here the whole story of glaciation is easy to read and such features as the great rock streams and mud flows, not duplicated elsewhere in the United States, are fully displayed. Extensive mining operations have been carried on in the region during the past 50 years and gold, silver, lead, and zinc are still found in limited quantities. Although the mining has taken its toll from the landscape in places, it has added a special interest. The visitor is amazed to see mine buildings perched high on almost sheer mountainsides, thrilled by finding pieces of rock containing silver or some other mineral in old mine dumps, and awed by the strip mining on top of Red Mountain, elevation 12,865. Lake San Cristobal at the head of Lake Fork of the Gunnison River is a popular recreation area, and Lake City, a former mining town, has been converted into a resort center. Ouray, a county seat which prospered during the heyday of mining, is beginning to realize that its future economic life will depend to a large extent on the wise use of the recreational resources. The town is ideally suited to serve as a center for vacationists, being situated in a beautiful little basin surrounded by colorful high mountains. The town of Silverton retains much of its original flavor. Most of its construction took place 40 to 50 years ago and little modernization has taken place. It is an interesting representation of an era in the development of the Rocky Mountain region. The setting of the town, 9,300 feet above sea level, is dramatic. Bleak, high, rugged mountains enclose the narrow valley floor on which the town rests. There are few roads in the San Juan-San Miguel Uncompahgre area, but trails lead to the high country from the roads that approach the area from the north and south and from United States Highway 550. Fishing, hunting, hiking, mountain climbing, horseback riding, and camping are the main recreational activities. A branch of the Denver & Rio Grande Railroad follows the Animas River from Durango to Silverton, another follows the Uncompahgre River from Montrose to Ouray, and a third runs southwest from Ouray to Telluride and down the Dolores River to Dolores, Colo., near Mesa Verde National Park. Trips on these narrow-gage railroads are capable of being developed into a major tourist attraction. Most of the area is included within the boundaries of the San Juan, Montezuma, and Uncompahgre National Forests and the higher, more remote portions of each have been designated as primitive areas. There is some virgin forest, but the bulk of the timber within the area has little value for timber production. Its primary value is watershed protection. Mining has been important in the past. In the future, recreation probably will be the major value of the area. 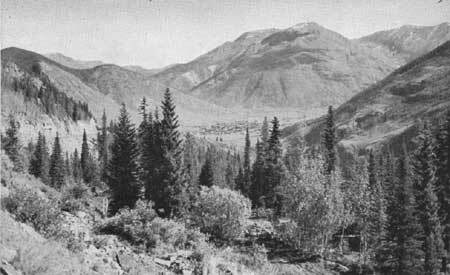 Figure 117.View of Silverton, Colo., from United States Highway 550. 2. Elk Mountain area in the White River and Gunnison National Forests is bordered on the north by State Highway 82 which crosses the Continental Divide near its highest point at Independence Pass, elevation 12,095 feet. The highway is unexcelled for the views it affords of lofty mountains, tumbling snow-fed streams, and forests of pine and aspen. The streams are among the best in the State for fishing. West of Independence Pass, State Highway 82 descends into the valley of the Roaring Fork River by easy grades. Aspen, an early mining town located in the valley of the Roaring Fork at an elevation of 7,850 feet, now attracts many visitors who take advantage of the 1,000 miles of trout streams and 25 lakes within a short radius. Dude ranches in the vicinity have access to trails that lead in all directions. In recent years, Aspen has become a popular winter sports center. Just west of Aspen a dirt road leads south along Maroon Creek to Maroon Lake, known for its magnificent mountain setting and excellent fishing. South of the Elk Mountains region is the town of Crested Butte, elevation 8,867 feet, from which State Highway 135 ascends to Kebler Pass directly north of West Elk Peak. A dirt road leads to Gothic, 9 miles north of Crested Butte, where the Rocky Mountain Biological Laboratory is located. Near Kebler Pass, at the foot of Ruby Peak, Lake Brennan rests in a pocket on the mountainside, surrounded by a luxuriant growth of alpine-type plants. Further north, Snowmass Mountain, Maroon Peak, and Castle Peak rise majestically to elevations above 14,000 feet. Beyond Kebler Pass, Route 135 crosses a high plateau covered by an abundant growth of flowers, grasses, shrubs, and trees. Dense stands of conifers alternate with aspen-fringed meadows to provide an expanse of charming mountain scenery. The high peaks nearby add to the superlative quality of the landscape. The recreational opportunities of this region seem almost unlimited. 3. The Park Range, located in the extreme northern section of Colorado, with its numerous high peaks and its wooded slopes, offers many possibilities for public enjoyment. Steamboat Springs, located at the foot of the range on the Yampa River, is a popular year-round recreation center. United States Highway 40 provides access to the region and State Highway 129 skirts the mountains on the west to lead to the Hahns Peak country, one of the excellent hunting and fishing areas in the State. 4. White River Plateau in the White River National Forest is one of the fine recreational areas in Colorado, ranging in altitude from 9,000 to 11,000 feet above sea level. Shingle Peak and Sheep Mountain are more than 12,000 feet. The plateau has a delightful cool summer climate. Numerous lakes and streams in a forest setting provide good trout fishing and pleasant camp sites. Deer and elk are plentiful. Trappers Lake, the largest lake in the area, is a summer resort. The main approach by road is from Meeker, Colo., on the west. Other roads lead to the area from the Steamboat Springs region. Trails from Glenwood Springs climb up to the plateau. The central portion of the forest has been designated as the Flat Tops Wilderness Area. 5. The Gore Range south of the Park Range is bordered by State Highway No. 9 along the Blue River, a popular fishing stream. The high crags and deep woods make the Gore Range a valuable recreational area for Colorado. 6. The Grand Mesa, east of Grand Junction, Colo., is 900 square miles in extent and rises 5,000 feet above the surrounding country in splendid isolation. Hundreds of small lakes dot the mesa and many of them provide excellent fishing. State Highway 65 leads to the top of the mesa and provides many interesting views of mountain lakes, meadows spangled with wildflowers, aspen groves, and fir and spruce forests. Deer and small game abound in the area. Dams have been constructed at the outlets of most of the larger lakes to increase their storage capacities. Resorts and summer homes have become established on several of the more accessible lakes and Forest Service camp grounds are available. The Grand Mesa area is especially important in providing cool recreation grounds for persons living in the valleys of Delta and Mesa Counties. Colo.
1. Uinta Mountains. Though now known best by geologists, foresters, and a few fishermen, hunters, and stockmen, the fascinating scenery of the Uintas seems destined to receive much attention. Few areas of comparable size present such a diversified landscapelofty, bright-colored canyon walls, and giant hogbacks along the borders; and beautiful lakes and streams in the forested uplands. The Granddaddy Lakes region of the Uinta Mountains, including to the westward the headwater basin of the Duchesne River and to the eastward most of the primitive area of the Wasatch and Ashley National Forests, is one of the most notable and valuable recreational areas in the entire northwestern part of the Colorado River Basin. The factors which give the region its particular value are numerous and complex. There are many craggy peaks more than 12,000 feet in altitude, and intervening lands of comparatively gentle slopes, at altitudes of more than 10,000 feet. These highlands are cool in summer. They are shaded by forests mainly of spruce, fir, and pine, are abundantly watered by clear streams, and contain a profusion of small glacial lakes with excellent fishing. Granddaddy Lake, at an altitude of 10,300 feet and with a water surface of 170 acres, is one of the largest lakes in the Uinta Mountains. Another feature of the area is the fact that the steepness and ruggedness of slopes and valleys descending from this high area toward the surrounding habitable lands have thus far halted the penetration of roads, even the roughest of wheel tracks, beyond its outer borders. It has been left completely free from the exploitations and irritating reminders of a mechanized civilization that follows wheeled vehicles. By short trail trips from roads that come to its borders, people can plunge into a wilderness contrasting completely with the adjacent country. 2. The Aquarius Plateau-Boulder Mountain area in south-central Utah is a little-known but potentially important recreational area. Numerous ponds and lakes dot the forest-covered tableland of 70 square miles that ranges in altitude from 10,000 to 11,000 feet. From numerous points there are grand views of the colorful lower plateaus stepping down to the Colorado River, the sheer-walled canyons of the Escalante River and its numerous tributaries, the Henry Mountains, the Waterpocket Fold, and the Circle Cliffs. The plateau, with the adjoining canyon lands on the east, provides a combination of scenic and recreational interests ranging from colorful deserts to high cool boreal forests. There is trout fishing in the lakes and streams and deer, elk, and cougar hunting on the plateau. 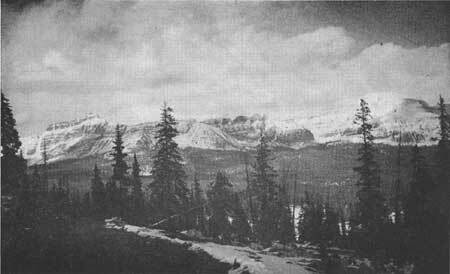 Figure 118.Mirror Lake Basin just west of the high Uinta Primitive Area. State Highway 23 on the south and State Highway 24 on the north provide access to the area. A county and U. S. Forest Service road connecting Escalante, on Highway 23, and Torrey, on Highway 20, crosses the east side of the area. It is the most scenic drive in southeastern Utah. Between Escalante and Boulder, the road crosses the Escalante River Canyon and runs along the top of narrow ridges between deep, sheer-walled canyons and provides exceptional views of the colorful desert canyon lands and the high forested plateau. Between Boulder and Torrey the road climbs over the east side of Boulder Mountain. Deep snow makes this section of the road impassable in winter. 3. Monument Valley, intersected by the Utah-Arizona line, is in the north central section of the Navajo Indian Reservation. Utah State Highway 47 crosses the area on its way from Mexican Hat to Kayenta, Ariz. The comparatively level plain rises from altitudes of about 5,000 feet to 5,700 feet at Monument Pass. Individual buttes rise to heights nearly 1,000 feet above the plain. Monument Valley is the result of a stupendous erosion process that has left weird, wind-blown monoliths, spires, and totem poles standing hundreds of feet above the vast vivid-hued desert floor. Clouds, shadows, and moonlight transpose the forms and colors to create phantasies that are overwhelming. It is an area that should be retained in its desert wilderness character unspoiled by the evidences of modern civilization. 4. Nine Mile Canyon, northeast of Price, contains valuable prehistoric ruins and picture writings. Four types of Pueblo houses have been found here. The area is approached over State Road 53 which leaves United States Highway 50, 10 miles east of Price. 5. Poncho House, located about 15 miles east of Monument Valley, is one of the major cliff dwelling villages in the Southwest. 6. Westwater Ruins, 5 miles southwest of Blanding, and easily accessible, contain ancient cliff dwellings and an attractive site for picknicking. 7. The Old Cotton Mills at Washington near St. George is a well-preserved building, erected in 1866 for spinning "Dixie Cotton" in the early days of Utah history. 1. Manuelito National Monument Project, bordering the Santa Fe Railroad and United States Highway 66 between Manuelito, N. Mex., and Lupton, Ariz., 17 miles southwest of Gallup, N. Mex., is an impressive archeological, geological, and scenic area proposed for inclusion in the National Park System. 2. Gila Primitive Area in southwestern New Mexico is the largest and most beautiful unspoiled wilderness in the Southwest. Elevations extend from 4,500 feet to peaks more than 10,000 feet. The highest peak, Whitewater Baldy, is 10,892 feet high. No settlements are located within the area, but there are several dude ranches. The wilderness area is fairly well provided with trails, but the area as a whole is practically free from improved roads. The outstanding topographic feature of the Gila Primitive Area consists of four deep canyons trenched deep into the eastward-sloping plateau by the Gila River and its three head tributaries. Practically all of the rocks exposed on the surface are of volcanic origin. Perhaps the most striking geologic feature is the great number and variety of erosion forms. The volcanic rock acted upon by water, wind, and frost has produced hundreds of unusual and grotesque shapes. The primitive area contains a number of thermal springs. Eight are classified as warm springs and two as hot springs. The greater part of the area is forested and is preeminently a wildlife country. Large game animals are plentiful and there are many flocks of wild turkey, quail, and other game birds. The canyons are a haven for song birds and the streams teem with trout. There are numerous archeological sites within the area. Gila Cliff Dwellings National Monument, where are preserved spectacular cliff dwellings set in a unique cave in a vertical cliff, is located in the east-central portion of the primitive area. This area has a very livable summer climate with unusually cool nights for its southern location. It has unlimited resources for recreation, study, and research. With proper development, the area could accommodate a large number of visitors without spoiling its primitive character. 1. Coronado International Memorial Project. The act of August 18, 1941, (55 Stat. 630), authorizes the President to establish this memorial by proclamation when he has been advised that the Government of Mexico has established, or provided for the establishment of, an area of similar type and size adjoining the area described in the act. The purpose of the proposed project is to commemorate the Coronado Expedition, a significant event in North American history. The area chosen lies partly in Cochise County, Ariz., and partly in Mexico. 2. Meteor Crater, one of the most remarkable features in the United States, is famed throughout the world. It is situated in Coconino County, Ariz., in the southern portion of the Colorado Plateau. The crater may be reached by traveling 18 miles west of Winslow on United States Highway 66 and 4 miles south on a dirt road. The irregular rim of the huge crater, nearly a mile in diameter, rises more than 150 feet above the surrounding plain. The main portion of the rim at an elevation of 5,800 feet is more than 1,000 feet in width, with scattered remnants of debris as much as 6 miles from the crater. The crater floor is flat and approximately 1,500 feet across. There has been considerable speculation as to the probable origin of the crater. Most of the evidence points to a meteoric impact. Regardless of the origin, the crater contains much in the way of inspirational appeal. If it is the result of an impact of a meteor, as is now generally conceived, it is the largest known crater in the world formed by such a phenomenon. 3. Fort Bowie named, in all probability, for Brig. Gen. George W. Bowie, is located in Apache Pass in the Chiricahua Mountains of southeastern Arizona. It is one of the most famous historic United States forts in the Southwest. Established in 1862, its fame was largely in connection with campaigns against the Apache Chieftain Cochise during the 1860's and early 1870's and the renegade leader, Geronimo, during the late 1870's and the 1880's. With the surrender of Geronimo in 1886, there was no further need for Fort Bowie and from that time to the present it has gradually crumbled into a state of ruin. Few forts in the western part of the United States experienced such an exciting and dramatic career. The site is reached by traveling 14 miles over a dirt road from the town of Bowie. The elevation at the site is about 4,700 feet. The story of Fort Bowie falls logically into the national theme of "Westward Expansion and the Extension of National Boundaries 1830-90." As a part of that theme, it played an important part in protecting the frontier settler and traveler. 4. Kinishba Ruins on the Fort Apache Indian Reservation is about 16 miles south of McNary, Ariz., 1.5 miles north of State Highway No. 73. It is at an elevation of some 5,400 feet, in the midst of the camps of the Apaches. Kinishba was the center for a number of developments in pottery making in the Upper Salt and Little Colorado area. Kinishba seems to be the largest continuously occupied pueblo in the area in question. It has been partly restored under the direction of Dean Cummings of the University of Arizona, with Indian enrollees of the Civilian Conservation Corps furnishing the labor, and partly with funds privately donated. The 45-acre tract is well fenced and includes a museum and quarters building. 5. Clear Creek Ruins are located on Clear Creek about 5 miles south of Montezuma Castle National Monument in central Arizona, within the Coconino National Forest. They are of national significance. The big ruin atop a ridge north of the confluence of Clear Creek with the Verde River is one of the largest ruins in the Verde Valley. The main portion, comprising some 50 ground floor rooms, is built of limestone and caliche. A number of walls are standing to first-story level; originally, the ruin was at least two-storied. There are 40 or more cave rooms and small cliff dwellings on the south side of the ridge, below and east of the main ruin. The site covers some 30 acres. 6. Chaves Pass Ruins located in the eastern portion of the Coconino National Forest in the Anderson Mesa country some 35 miles southeast of Flagstaff, Ariz., constitutes an archeological site of unusual scientific historical importance. The site is on a good dry-weather road which leaves United States Highway 66 at Meteor Crater Junction and goes south past Meteor Crater to Chaves Pass about 40 miles from the highway. Chaves Pass is one of the few breaks through which aboriginal travel between the Little Colorado and the Mogollon Rim country would have been easy. A number of small lakes are within 5 miles. Vegetation is sparse at the site, but there is a good growth of piñon and juniper and some ponderosa pine in the vicinity. The Chaves Pass Ruins include two large building blocks of pueblo type, a ball court, and remains of various smaller structures. The mesa point on which the main Chaves Pass Ruins are situated evidently was occupied more or less continuously from around 1100 A.D. until 1400 A.D.
7. Awatovi, site of the Mission of San Bernardino, is located on the north side of Jeddito Valley in the south-central portion of the Hopi Indian Reservation near the settlement of Keams Canyon. It was one of the largest and most important of the sixteenth and seventeenth century villages of Tusayan, the first one reached by expeditions, and the one most often mentioned in early chronicles. The ruin is in fair condition and extends for a quarter of a mile along the mesa top, and back from the edge for a distance of 250 to 300 yards. Little survives of the mission, founded in 1629. Excavations have been carried on under the direction of the Peabody Museum of Harvard University. 8. The Blue Range area lying largely in Arizona, with a small part extending into New Mexico, includes more than 218,000 acres. It is one of the few remaining large areas of forest land in the Southwest still without roads. It is a region important for its big game and its trout streams, is accessible only by trails, and is the largest available area free from human occupancy and development in the State of Arizona. It extends into New Mexico to within a few miles of the Gila Primitive Area. The area is traversed from east to west by the Mogollon Rim, an abrupt escarpment-like topographic feature forming the southern boundary of the Colorado Plateau. The area above the rim is in the Boreal Zone, while below the rim is a wild and broken country largely in the Transition Zone. Elevations range from 4,500 to more than 9,100 feet. The area's major values are for the protection of the Gila and Salt River watersheds and for public recreation. 9. The Mount Baldy-White Mountain area in east central Arizona adjacent to United States Highways 666 and 73, ranges from 8,700 feet to 11,496 feet above sea level. The topography varies from gently sloping bench at the foot of Mount Baldy to extremely steep, rock-strewn mountainsides cut by deep canyons. Geological features of spectacular character, including numerous lofty peaks and deep canyons, offer great possibilities for recreational development in the White Mountain area. High altitudes with cool climate, well-forested surfaces, and numerous clear mountain streams where trout fishing is good all tend to make this an excellent summer resort area. Few other localities in Arizona are comparable in quality, and none is nearly as extensive. Development along recreational lines has been considerable during recent years, but only a beginning has been made in the construction of trail systems and camps. Ultimately, this area must be used to meet extensive needs and demands for summer recreation of the people living in the hot lowlands of Arizona. 10. San Franciscan volcanic field. Many geological features of unusual character and general interest are found in the San Francisco Mountains and the surrounding volcanic field. Because of the high altitude of the area, with resulting cool summer climate, this region offers tremendous possibilities for the development of attractive trails to features of scientific interest and for the interpretation of such features through appropriate signs or labels. A start in this direction has already been made by the Forest Service and the National Park Service in their respective areas, but much remains to be accomplished in the utilization of recreational possibilities. This area might be made into one of the fine recreational centers in the basin, especially for horseback riding and hiking. 11. The Mogollon Rim area is located south of United States Highway 66 and extends from a point southeast of Flagstaff, Ariz. to the White Mountains near the New Mexico line. The rim is the crest of the plateau that divides Arizona into two physiographic provincesthe Colorado Plateau on the north, and the basin and range province on the south. From the Mogollon Rim the drainage is north into the Little Colorado River and south into the Salt, Tonto, and Verde Rivers. The slope to the north is gradual for a distance of 50 miles. To the south the slope is rugged and abrupt, with a fall of 1,500 to 2,000 feet within a distance of a few miles. The greater part of the Mogollon Rim is heavily timbered, with ponderosa pine predominating. Near the crest one finds aspen and spruce; on the lower slopes are piñon and juniper. An outstanding feature of the area is Clear Creek Canyon. It varies in depth from 400 to 800 feet and in places is less wide than deep. It is practically invisible from any point more than a quarter mile from the rim. 12. Travertine Bridge is located in the central part of Arizona in the Tonto National Forest. The bridge is unique in being composed of travertine rather than sandstone from which most natural bridges are formed. The upper surface of the bridge is approximately 400 feet long and rises about 150 feet above the bottom of the canyon. How the bridge was formed is a matter of conjecture at this time. Not only is the bridge unique in respect to origin, but it is one of the most beautiful natural bridges in the United States. Wildlife is abundant and the area abounds in prehistoric pueblos, practically all unexcavated. The bridge is located in very rugged country, and roads through this section of Arizona are of a low standard. The elevation of the bridge in the bottom of Pine Canyon is 4,600 feet above sea level. 13. The Apache TrailSuperstition Mountains area in the Tonto National Forest approximately 40 miles east of Phoenix, Ariz., is of major importance to the people living in south central Arizona. It includes four reservoirs, a scenic highway, and an excellent and varied landscape of mountain peaks, mesas, canyons, cliffs, interesting vegetation, and considerable color. Boating and fishing are available on the reservoirs and accommodations for visitors are provided by private interests. The main road, known as the Apache Trail, from Roosevelt Lake down the Salt River, skirts the north boundary of the Superstition Wilderness Area. Several roads end within a half mile of the boundary of this wilderness area. Further access is gained by an incomplete system of trails. 14. Oak Creek Canyon is traversed by United States Highway 89. South of Flagstaff, Ariz., the highway drops from an elevation of 7,000 feet to 2,500 feet in lower Oak Creek Canyon. Lookout Point at the head of Oak Creek Canyon, 13 miles south of Flagstaff, is approximately 2,000 feet above the stream bed. The grandeur of the massive canyon walls is enhanced by the many colored ledges and buttes, while the canyon floor abounds in wild flowers. Oak Creek Canyon was formed by the faulting of Coconino sandstone. This fault, which is apparentthe wall on the right being higher than that on the leftextended for many miles and formed an opening for great volcanic activity. A cap of basalt is visible along both rims at the upper end of the canyon. Approximately 22 miles from Flagstaff, the color of the sandstone changes from white to red. Scrub oak and buckbrush replace mountain pines. A mile further, a panorama includes the trout stream, steep red cliffs, and the widening bottom lands to the south. With the construction of the highway have come lodges, tourist camps, swimming pools, and other signs of civilization, in an area that prior to 1930 had been a wilderness retreat. 15. The Kofa Mountains in southwestern Arizona are more scenic than most of the mountain ranges in that section of the State. The highest point, Signal Peak, rises to an elevation of 4,200 feet, some 2,600 feet above the plain. There are precipitous cliffs and gorge-like canyons in this range. A feature of special interest is the grove of native palms growing in a steep narrow ravine, near Signal Peak. This part of the Kofa Mountains is seldom visited due largely to a lack of drinking water and the excessive heat during the summer months. In addition to the palms and other interesting forms of plant life, the presence of bighorn sheep add interest to the area. State Highway 95, a fairly good desert road, provides access to the region. 16. Southeastern Arizona Ranges. This portion of Arizona, more than any other, has been developed along recreational lines. The desert valleys between ranges have long been recognized as vacation centers for winter visitors and certain of the higher ranges which are well forested are being used for summer resorts. The Santa Catalinas are an example. Here, as elsewhere in the mountains, the chief difficulty is found in the rather limited space available for development. On the other hand, there is much opportunity for trail development and, to some extent, development of roads to points of unusual interest and significance, especially in the higher, forest-covered ranges. Geological features of interest are apparent in many parts of this vast area. The semiarid climate causes most outcrops to remain fresh and the vegetative cover to be reduced to a minimum. Thus, complexities of structure and details of rock character are readily observable. Under such conditions it is natural that a large number of persons residing within the region should take a lively interest in geology. One of the principal needs in this connection is the availability of authentic information concerning features of interest. In any program of recreational development careful consideration should be given to ways and means of presenting such information. 1. Hidden Forest in Clark County is a scenic area of virgin timber in a desert region. Approximately 5,760 acres would be suitable for a State park, providing opportunities for sports, camping, and picnicking, as well as relief from the desert heat. 2. Gypsum Cave, about 16 miles east of Las Vegas, Nev., is a large cavern in limestone, about 300 feet long and 120 feet wide, containing cultural material associated with bones of the ground sloth and other extinct fauna underneath Basketmaker and later remains. An antiquity of more than 5,000 years has been calculated on the basis of remains of the "sloth people." 1. Palm Canyon, 7 miles south of Palm Springs, Calif., has been authorized for addition to the National Park System as a national monument when the necessary lands are made available. Here the native Washington-palms are found in abundance over the length of the 14-mile-long canyon. At the upper end of the canyon, a mile and a half beyond the limits of the palms, a 60-foot waterfall starts a crystal clear stream on its way between the rugged white caliche canyon walls. An excellent horse trail follows the east wall, providing views of the many palm groves with their associated desert plant forms. 2. Giant pictographs, works of early inhabitants, are found throughout the lower basin of the Colorado River and adjacent desert areas. Relief designs were made by raking or stacking gravel in lines or piles, and intaglio designs by taking out sections of the black surface cobbles which exposed the light-colored subsurface. The oldest ones may have been produced by prolonged stamping of feet on the gravel surface, after it had been made soft by heavy rains. The figures represent geometric patterns and life forms. Those of the latter type are of the freshest appearance, probably of Yuman origin.